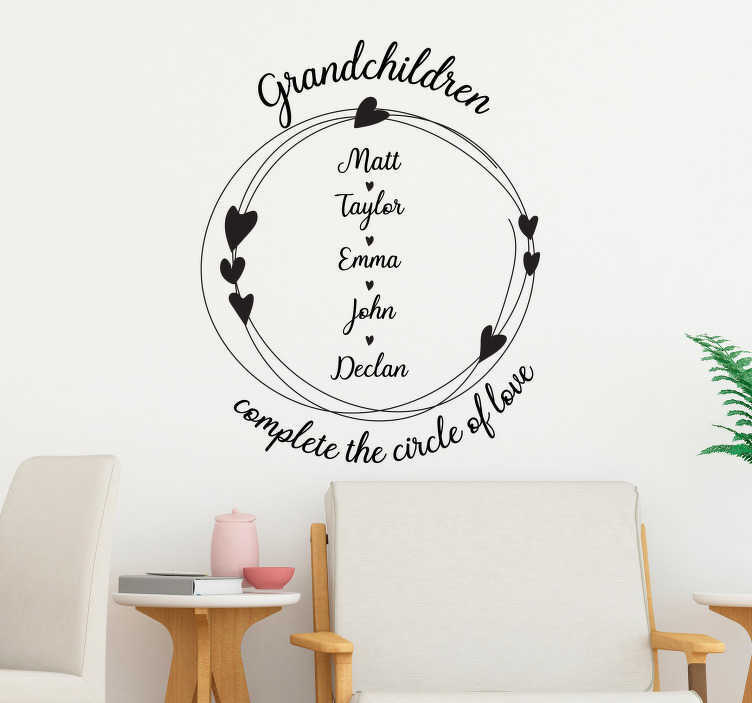 Decorate your home with this fantastic customisable wall art sticker, paying tribute to the circle of love, often completed by Grandchildren! Perfect living room decor for those proud grandparents, as it can be customised with the names of every family member important to you in order to truly illustrate the magnificent and ever-giving circle of love! All of our customisable wall stickers come with exactly the same guarantee as our catalogue stickers - Fantastic durability, superb ease of application and no signs or marks when removed.